Sony didn't show me many products that I wasn't already aware of during my visit to the company's PlayStation headquarters in San Mateo yesterday, but the reality was far better than the briefings and press releases. There was some audio gear, but the TVs and other video equipment were the most exciting. By far the most impressive product I viewed was the new 65-inch-class A1E OLED. I've been harshing somewhat on the rendering of fine details by existing consumer OLED TVs, especially in comparison to the latest, greatest HDR LED/LCD TVs from Sony and Samsung. As there's really only one company marketing OLEDs currently (LG, although Panasonic does have one high-end model), that hasn't won me any friends there. Neither has my calling them out on their 2.8K-labeled-as-4K 6000 series of TVs. The A1E ameliorates all my complaints about OLED detail reproduction and proves that the lack thereof is not a deficiency inherent in the technology. The A1E's picture and detail are simply stunning. But my enthusiasm for the A1E is also due the to use of the A1E's front glass as a speaker. Planar, aka flat-surface audio projection, is nothing new, but this is the first instance I'm aware of it being employed in a retail TV. Coupled with a small subwoofer buried in the hardly noticeable stand, the A1E's sound is the best I've ever heard in a slim, thin-bezel TV. It's not overly loud, and it might not fill a large room, but you won't have complaints about the quality. 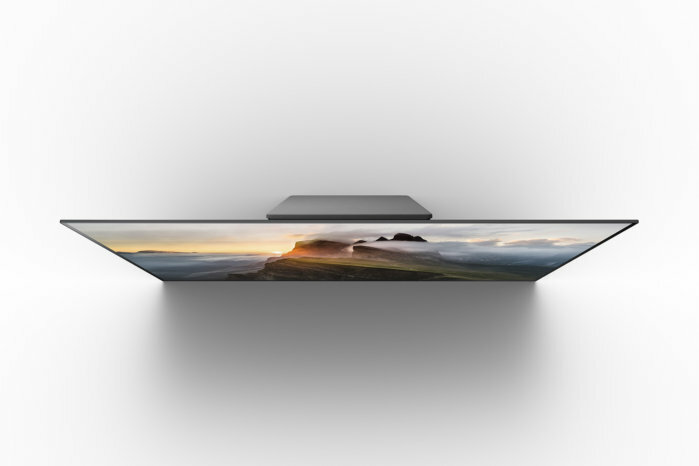 A view from the top reveals how thin the A1E OLED is. The screen is the main speaker, and there's a subwoofer hidden in the easel-like stand. Speaking of that bezel, there's only the tiniest sliver of it that's basically invisible during viewing. What you can't see, can't distract you. Though if bezels distract you, you should rent better movies. There was one more detail that impressed me--the nearly total absence of ghosting, which can be an issue, albeit a very minor one, with other OLEDs. Sony lays this at the feet of their new improved X1 Extreme processor, which includes some nifty tricks such as a library of noise profiles for the reduction of that. The X1 Extreme also performs a superior analysis of video frames, so that detail in both dark and light areas is improved, and banding is reduced to barely visible levels. Unless my eyes deceive me, the processing works extremely well. It's also utilized extensively on their new LED/LCD TVs. Alas, Sony was coy about A1E pricing, which I took to mean that it's not going to be anything close to affordable for most of us. They didn't provide an image either. Bummer. But if you're in a box store after it ships, you owe it to yourself to take a look. It's an awesome implementation of some very cool technologies and a vast improvement in OLED picture quality. 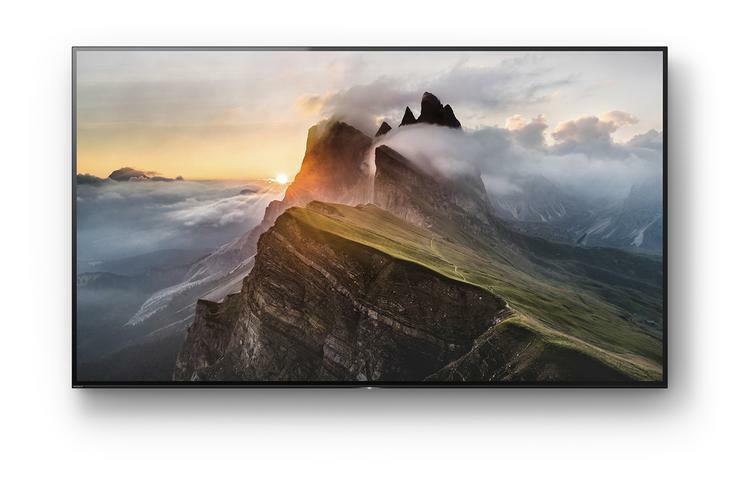 Sony also showed up its new E series TVs, which include both full-array direct backlighting--last year's Slim Backlight Drive--and the new Slim Backlight Drive+ side-lighting. This isn't your parents side-lighting, and it works remarkably well. There is a noticeable improvement in quality from the low-end 800E to the high-end 930E and 940E models that manifests itself in terms brightness, contrast, color acuity, and fewer motion artifacts. That's partly the different backlighting approaches and partly the processing I mentioned earlier in my comments about the A1E. Only the 940E will have the X1 Extreme, while the others will make do with the older X1. I was impressed with the overall improvement, which is perhaps almost as great as with the D series over the C series, but mostly with the smoothness of action sequences delivered by the X1 Extreme. I can't wait for a shootout with the latest Samsung SUHDs. These TVs start at $1000 for the 42.5-inch XBR-43X800E and top out at $7500 for the 74.5-inch XBR-75X940E. All are in competition for best in their price range. 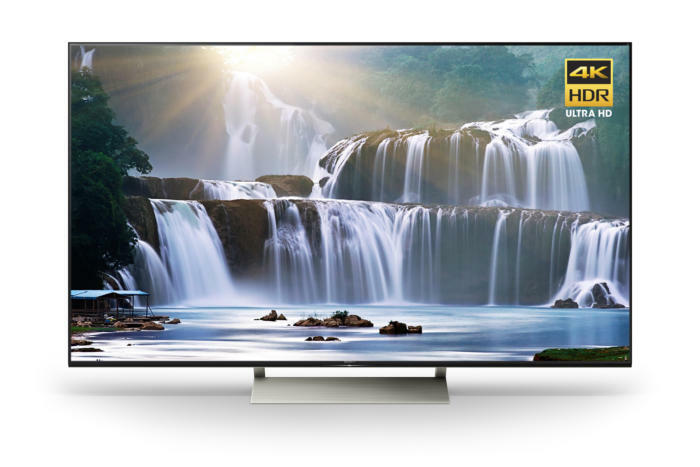 Not quite Sony's top-of-the-line LED/LCD TV (that's the X940E), the XBR-X930E still delivers an outstanding picture, and motion was as smooth as any we've seen. 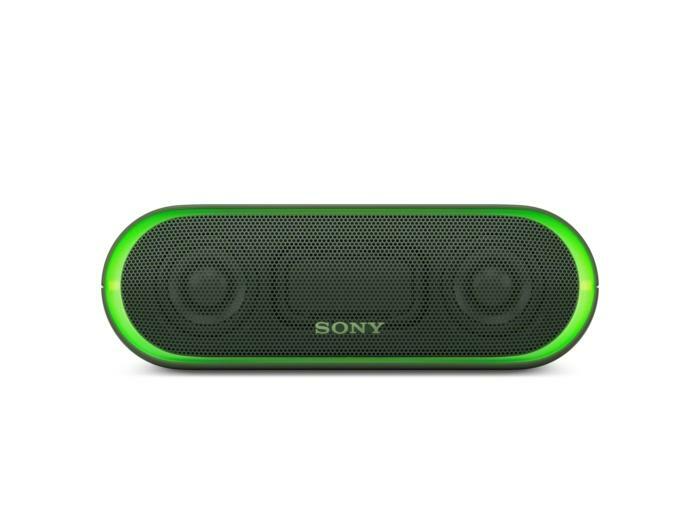 Sony also showed off its new line of Extra Bass SRS Bluetooth portable speakers, A/B-ing them against those from one of their most-popular competitors. Sound quality is a matter of taste, but with that caveat, I will say I generally preferred the Sony's less aggressive lower mid-range, which tends to allow greater discernment of detail and induces less ear fatigue. That said, these speakers are tuned for EDM and parties, not classical music in the living room. The Extra Bass speakers range from the $60 for the small SRS-XB10 to $250 for the SRS-XB40 $250. All can be doubled for use as true stereo pairs, and the SRS-XB40 can even be linked with up to 9 other units to cover the sound needs of your next rave. Additionally, the amount of LED lighting effects increases over the range of the speakers, from none in the SRS-XB10 to Close Encounters of the Third Kind in the SDS-XB40. Glitz, glitz, glitz. All have outstanding battery life, which we'll get into in the reviews. The SRS-XB20 competes well in the market sweet spot at $100. Also on display was the new HTMT300 soundbar and subwoofer. It sounded, well, quite nice with the familiar Sony taste in EQ. We don't currently have a price, but it's a worthy competitor. 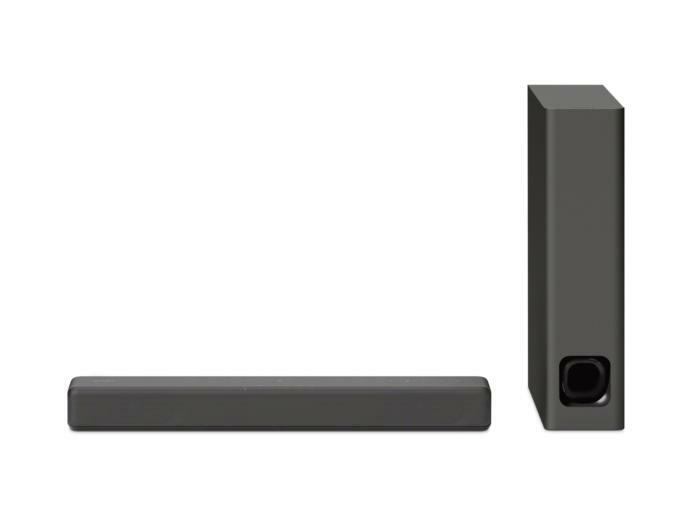 Sony's new sound bar and subwoofer. Sony also showed me its new VPL-VZ1000ES short-throw laser projector, which is similar to, but stunningly--half the price of the company's top-of-the-line VPL-GTZ1 predecessor. Though capable of displaying "only" a 120-inch image, the quality of said image is quite remarkable even in a lighted room (though darker helps, as in all cases). Alas, I teased a bit with the price drop as the VPL-VZ1000ES is still $25,000. But that includes a host of design improvements such as leveling feet, better airflow, side-mounted connections (with two HDMI on the back), and a blessing for installers--a modest amount of range adjustment. None of these products are going to do the Sony brand name any harm. The Bluetooth speakers and sound bar are as good as anything out there; the Ultra UD Blu-ray player will win the hearts of many consumers, especially those "stuck" with SDR LCD TVs; and the short-throw projector is a revelation if you haven't seen one of its breed. Last but not least, the fantastic A1E OLED has put Sony back in the discussion for best TV manufacturer. It's cool, it really is. I just have one question: Does Sony know that "X" without a small "e" in front of it is indicative of eXperimental?